A "Hotline Bling" sweater, Bongbong willing to take DNA test, and more. After weeks of speculation, Jessy Mendiola has finally admitted that she and JM de Guzman have gone their separate ways for a second time. "We're in the position where we would like to prioritize other things," she told PEP.ph. "So, napag-usapan naman namin na it's better huwag na lang muna." It looks as though their relationship didn't entirely end on a bad note, as Jessy added, "Siya talaga ang taong naniniwala sa akin lagi [...] At sobrang bait niyang tao. He has a good heart. Wala talaga akong masasabing masama sa kanya." Although it might sound like an unlikely choice, Sarah Geronimo was one of the names that fans have brought up to take over the role of Darna. In an interview on Thursday, however, she said that the role wasn't for her. "Kasi for you to accept a role, play a role na superhero, kailangan malakas ka talaga...mentally, emotionally, physically. 'Di mo madadaya ang mga tao, hindi eh. Wala pa ako doon," she explained. "At magiging honest ako. Hindi ako ever magto-two piece. Sa bahay lang, sa banyo lang. Walang choice 'yong banyo." The Drake memes haven't ended; in fact, they're now embroidered on Christmas sweaters. If you love the rapper or just need something to keep you warm on those cold, lonely nights, this U.S. $25 sweater is just what you need. The fuzzy sweater features Drake's signature dance moves on a Christmas-y backdrop. Thanks to the combined efforts of the Internet, a terminally ill Star Wars fan named Daniel Fleetwood got his last wish granted and saw an advanced screening of the new movie. His story went viral, even reaching stars Mark Hamill and John Boyega, which then led to director J.J. Abrams sending the film to him. His partner, Ashley, took to her Facebook account to thank everyone for the help and said, "...In the amazing, typical Disney way, they really do make dreams come true!" The Chilean government has admitted that Nobel-winning poet Pablo Neruda may have been killed after a coup back in 1973. Neruda, who was also a leftist politician and diplomat, was previously believed to have died of cancer. According to a report from The Guardian, Neruda was "traumatized" by the deaths from the coup that led to General Augusto Pinochet's rise to power. He was supposed to go into exile, but he was taken to the hospital where he died from supposed natural causes. His death was so controversial that in 2013, his body was exhumed but so far, no tests have confirmed that he was poisoned. The tests are still ongoing. Two years after Typhoon Yolanda, the Department of Social Welfare and Development (DSWD) admitted that about 1,000 families in Tacloban are still living in bunkhouses, due to "questions on settlement locations" and shortage of materials. "Wala na pong nakatira sa tent pero mayroon pa pong nakatira sa bunkhouses," said DSWD Secretary Dinky Soliman. "Iyan nga po ang pinagtutulungan namin ng siyudad ng Tacloban na mailipat na sa permanent housing." So far, the National Housing Authority has finished 600 housing units, but they have yet to be used because occupancy permits have yet to be released. Liberal Party's vice presidential candidate Rep. Leni Robredo and senatorial bet Kiko Pangilinan both agree that passengers found with just one to three bullets shouldn't be jailed. "If it's a threat to national security, why not? But is one or two bullets without a gun any threat at all?" said Pangilinan. 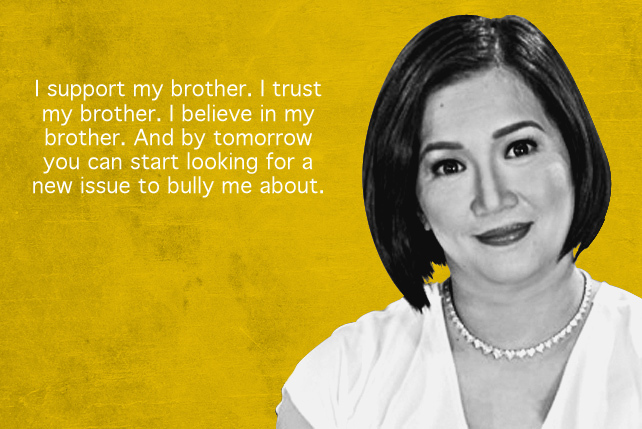 Meanwhile, Robredo agreed with him, saying that the fear of going to jail leads to extortion. Vice presidential candidate Bongbong Marcos has offered to take a DNA test to help Sen. Grace Poe's case. It's been a long-standing rumor that Poe is the illegitimate daughter of Ferdinand Marcos with former movie actress, Rosemarie Sonora. Despite his offer, however, Poe said she isn't in a hurry to accept his help as "there are other people who could take the test." Moving into a new home? Or are you looking to give your place a new makeover? Real Living and Century Properties are hosting an Inspired Living Seminar on November 14, where you can opt for a free one-on-one design consultation with a designer or architect, or just try your hand at some fun DIY workshops. Get rid of the Regina George inside you head, asking, "Is butter a carb?" Trust us, you deserve a little indulgence, too! Here are 10 delectable pasta dishes that will cure your carb cravings. 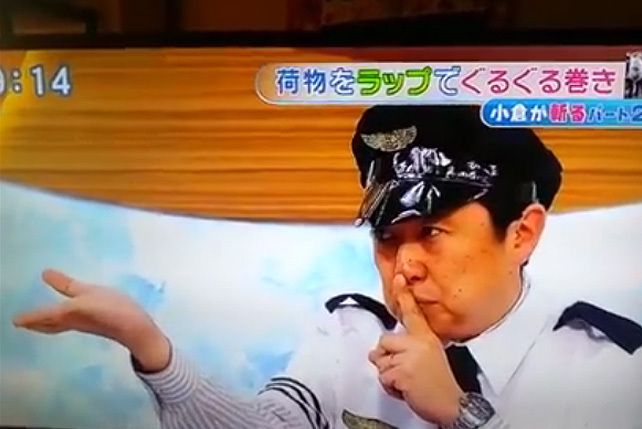 Japanese TV show demonstrates "Laglag Bala"